What distinguishes Kibbutz Contemporary Dance Company—beyond the powerful technical and artistic skill of its dancers—is that it exists on an actual kibbutz in Israel. More than 60 dancers live and work together on Kibbutz Ga’aton, where the late Yehudit Arnon, a Holocaust survivor, established KCDC in 1973. This week, from November 19 through 21, the company is making its debut at the Wallis Annenberg Center for the Performing Arts. 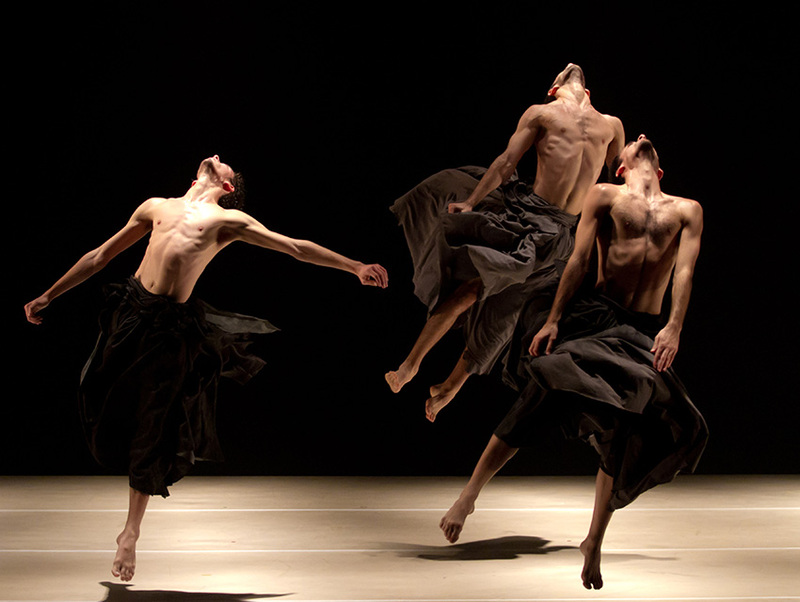 The program features artistic director Rami Be’er’s If At All, a work filled with big, bold movements as well as intimate, emotional moments. It has received international attention since its premiere in 2012. Besides the choreography, Be’er often oversees the costumes, lighting, and set design of his pieces. We spoke with him just before opening night in Beverly Hills. What inspired you to create If At All? If At All deals with the different circles in our lives that connect our existence. The different circles include the individual and himself; the circle in the relationship of a couple and between couples; the circle of the group and the society; and the circle of the person in society and the group. It is the circle of existing. If At All has no narrative or story, but what I offer is for the audience to join us and be part of a journey. The audience goes to sit in the seats—the lights go down, the curtain opens. I give them a rope and hope to lead them, and then at the end of the performance we leave them to themselves with their own associations, their own feelings, and their own thoughts. But through dance audience members can connect to themselves and maybe by the end of the performance, when the lights come up, they may have a question to ask of life or something new to think about. It’s not about understanding me, as the creator of the piece or what I intended. What most interests me is when the audience gives themselves the freedom to connect through their own interpretations, associations, feelings, and memories that are evoked while watching our work. Why did you select these particular costumes for the dancers: the long skirts for the men, the checkered kilts worn at the end? What do they represent? It is a 65-minute piece, and I know that there are certain stage metaphors happening in the piece and influencing the costumes. So I chose to begin in black, with a certain development during the piece, and finish in brighter costumes. I don’t want to discuss this in complete detail; I want there to be surprises in the piece. I also chose to have the costumes be unisex, so as to minimize the differences between men and women. How does living and working together on a kibbutz help shape the dancers’ relationships? I imagine there’s a greater element of trust that evolves. I was born in Israel and grew up there and have chosen to continue my life in Israel. Our work would be different if we lived elsewhere, but we are part of this environment of Israel and kibbutz life—with and without my awareness to it. And this is all expressed in my work. There is always trust between dancers because they have to rely on each other during the course of the piece. For example, there are lifts and catches that need to be executed. Trust is elementary to dance. Having said that, the atmosphere we work in at the kibbutz is unique, as we all live in the dance village. While everyone has their own private life, the environment of all of us together has a great influence; it is a part of the atmosphere and the spirit of the company. We all live together—and dance together—as a way of life. What do you hope Los Angeles audiences come away with after seeing your production? If At All was performed here last February at the Luckman Fine Arts Complex at Cal State L.A. Now we are performing at the Wallis in Beverly Hills for the first time, and we are thinking that audiences on the Westside of Los Angeles might be different from those on the Eastside. We are very excited to be coming to Beverly Hills, and very curious as well. We bring our art, our way for a creative communication through dance, through the body, through the soul of our dancers, through our music, and through our individuality. And we have a communication with people of different backgrounds, languages, and religions. And I know from being with audiences all over the world that a dialogue happens. We are looking for that to happen in Beverly Hills.